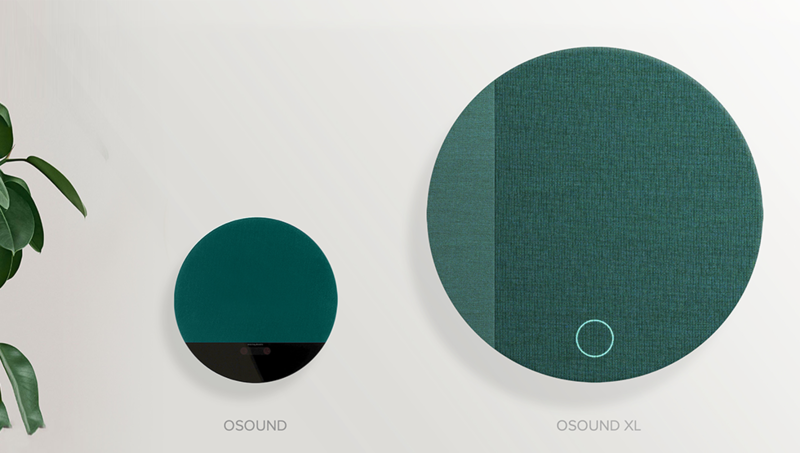 OSOUND XL is a new speaker at architectural size that is part of the OSOUND family. 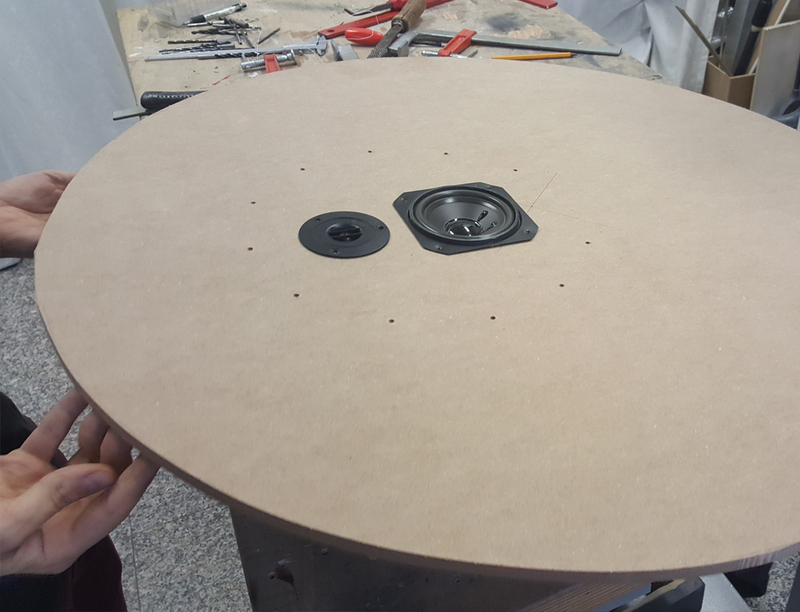 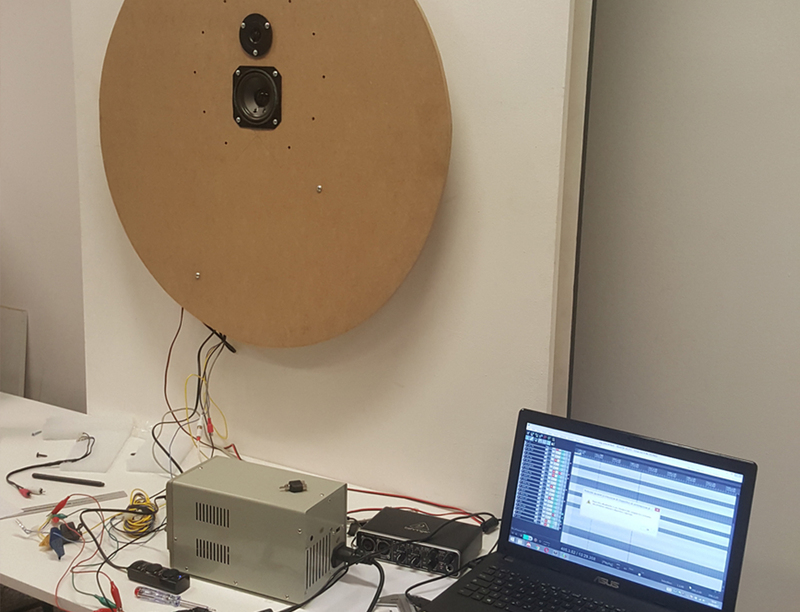 The size of the sound disk is increased (85 centimetres diameter), as well as the audio performance, thanks to the wider range of frequency (which is due to the tweeter, the woofer and the subwoofer). 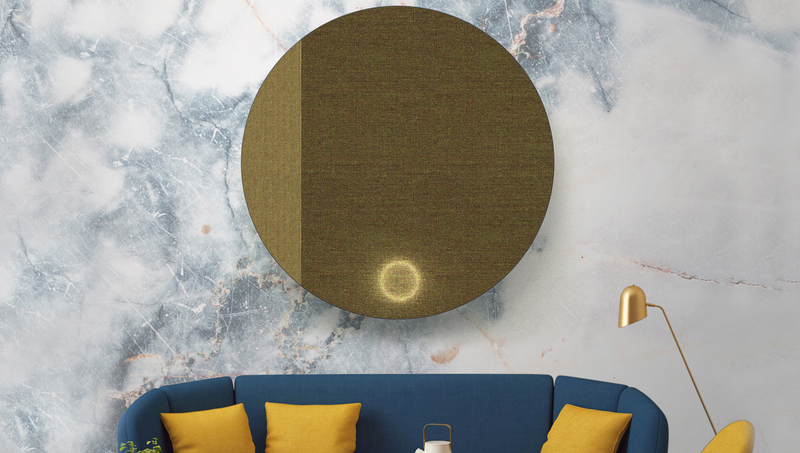 Osound XL becomes thus a product provided with powerful volume and it’s suitable for listening sounds in wider areas, such as living or entertainment rooms. 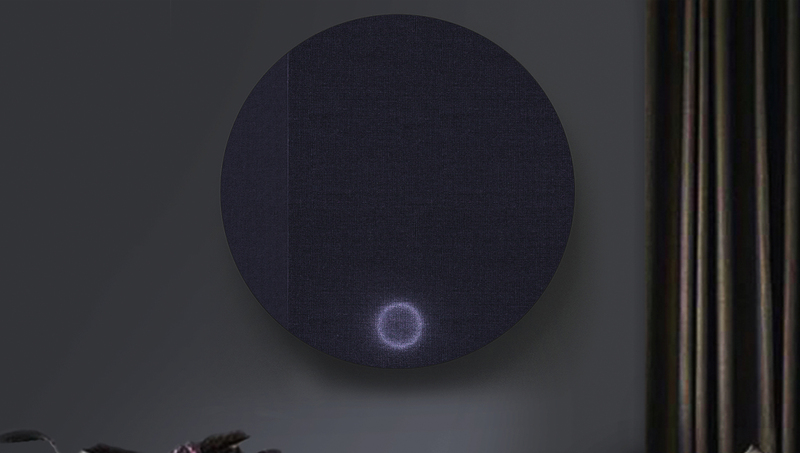 Its size makes OSound XL an architectonical accessory rather than just a well-designed electronic device. 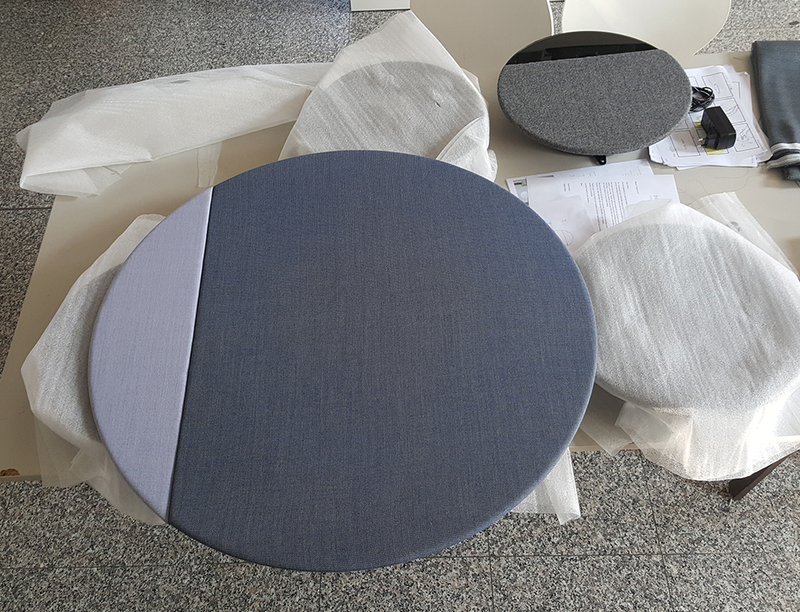 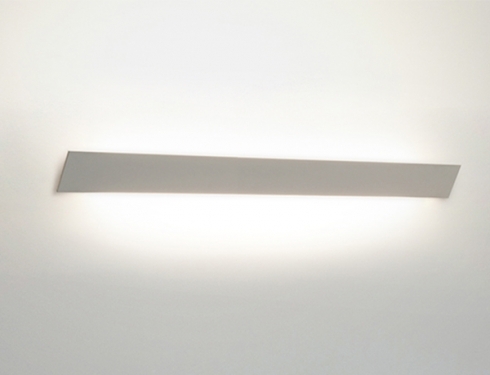 The coating fabrics enhance the stylistic mark of OSound XL’s and let the product conform to the environment with harmony. 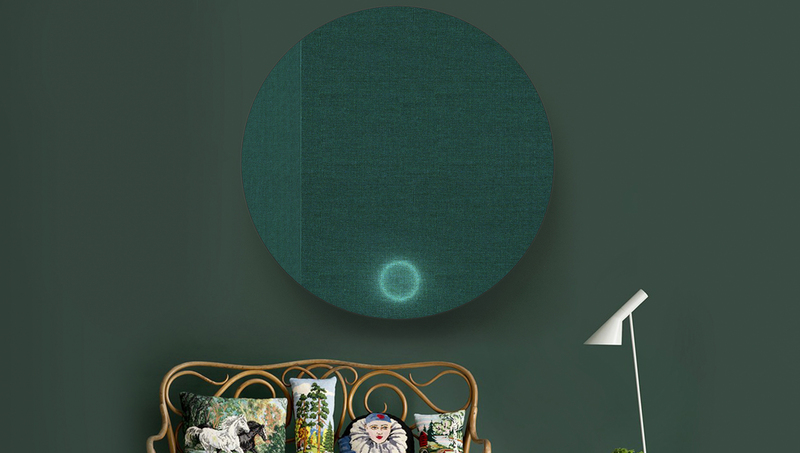 The hue sequence is created by vertical complementary colour juxtapositions whose extent is related to the brightness ratio between the chromatic shades. 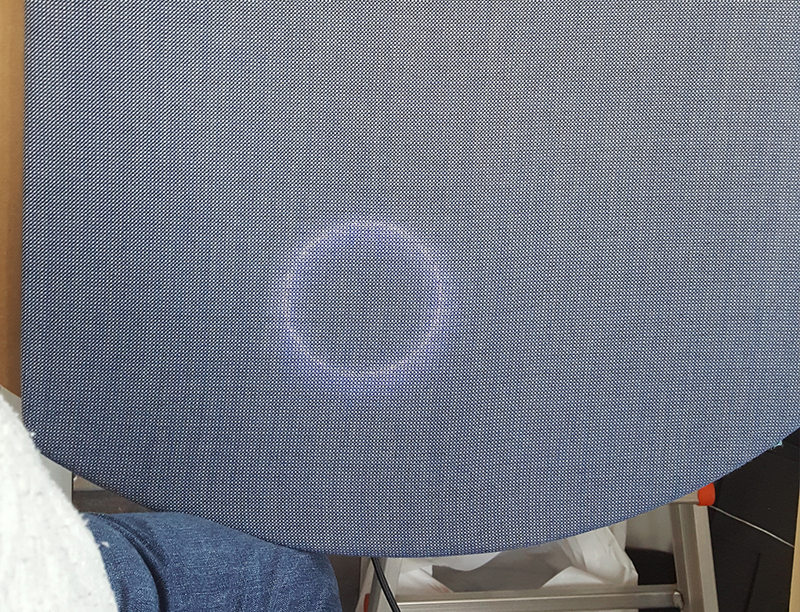 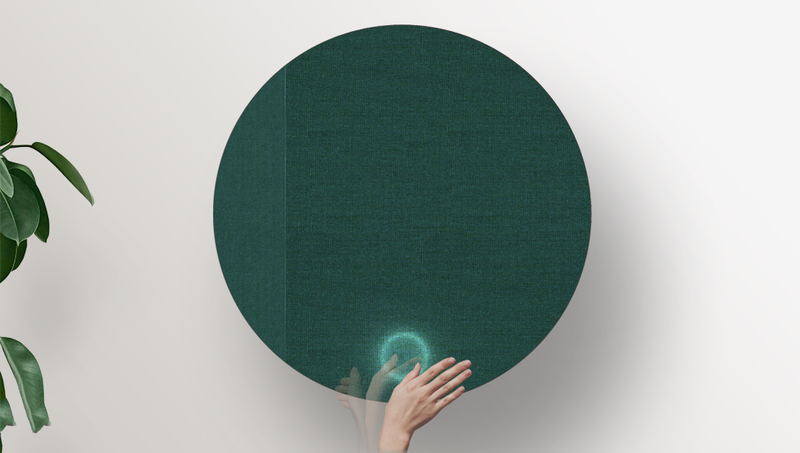 The front interface is Air Gesture, which is also visible in the form of a ring-shaped light signal placed behind the fabric that delimits the area in which the interaction with the object occurs. 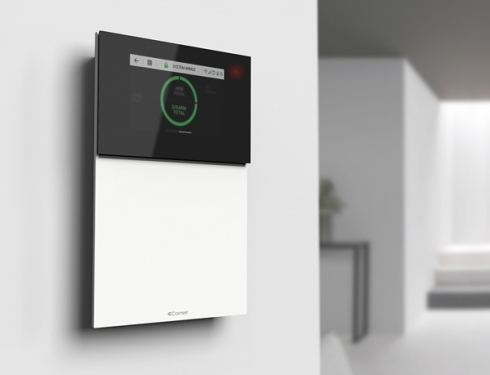 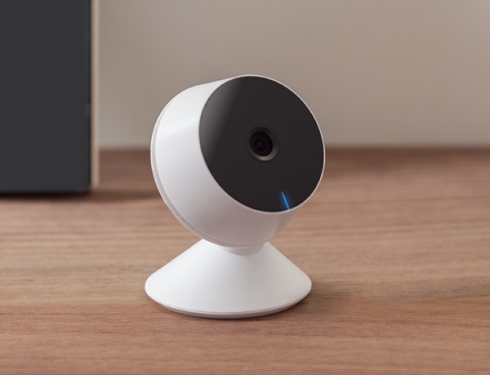 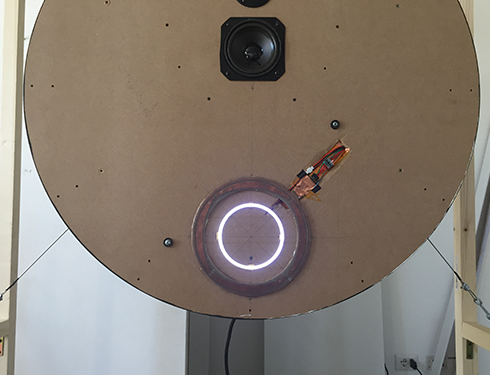 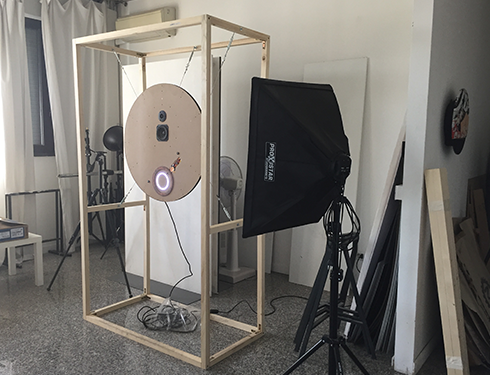 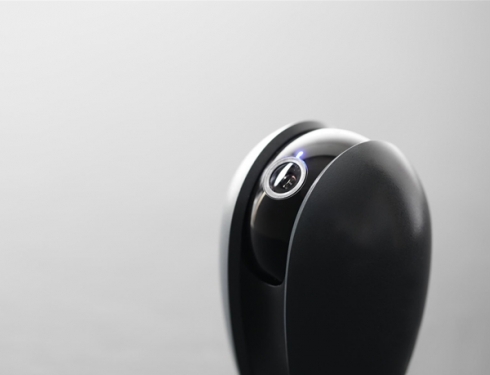 The ring lights up when the user approaches it and it pulses when it’s connected to Bluetooth; by a swiping gesture, it is possible to skip to the next or the previous track and a circular motion around the interactive ring adjusts the volume. 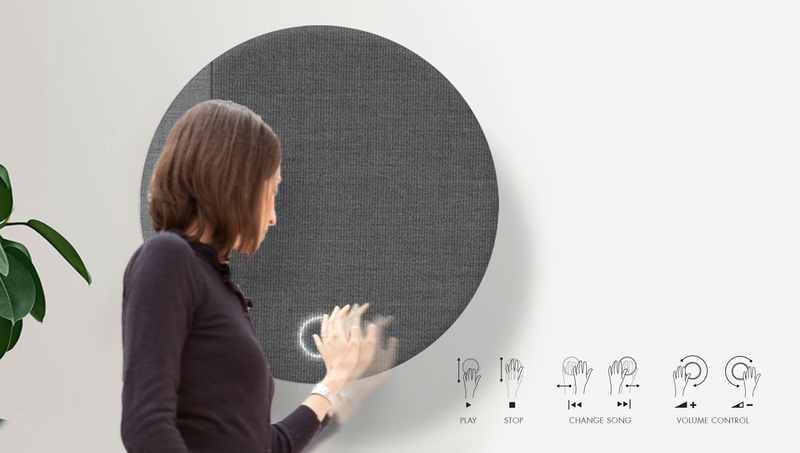 The air interaction is based on intuitive gestures already known to the user, interpreted by the software and transformed into effects on the content and the quality of the emitted sounds.